This week, I’m starting Monday’s Minute again. It was fun, so I’m not sure why I stopped. Anyway, I used the prompt given by Kendra: I could turn away now and no harm would be done, but I would be plagued all my life with curiosity. Or I could open it, and change my life forever. I could turn away now and no harm would be done, but I would be plagued all my life with curiosity. Or I could open it, and change my life forever. I stared at the thin book. “I…” I touch it. It burns me, and the sparks bounce off the stone floor. “You could have the world, darling.” It purrs again in my ear. “The world.” The others echo, save the small one, sprawled at my feet. The book called to me. I could feel the pull. I could have the world. I fell to my knees before the book, tears streaming down my cheeks. I wanted it. I was afraid of it. I shouldn’t take it. I must have it. It was wrong. But I would have the world. The cavern full of dragons waited, an occasional hiss, or swish of a restless tail. I would have the world. Dale would hate me. My sister would try to kill me. She would hate me. I rose, still staring. “I can’t.” I took a deep breath and ran out of the tunnels. I now sat in a forest, surrounded by my small army, defeated again. My men were beginning to murmur about me being a worthless girl. Dale hates me now. I should have taken that book. I could have had the world. I decide quickly. I’m going back for the book. The world will be mine. 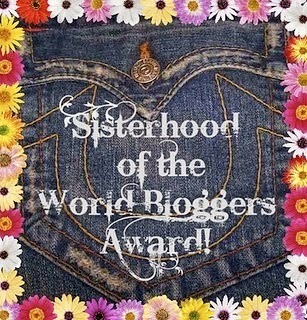 Thank the blogger who nominated you, linking back to their site. Thank you, TW! 1) What’s your favorite book, LIKE EVER? 2) You’re stuck on Mars. Alone. And you’re holding something. What is it? Um, a tank of oxygen, so that maybe I’d have enough time to get back to Earth, before I died. 3) Do you have that one blog you check, like, EVERY DAY? What is it? Well, I have a Feedly account I check a couple times a day, and it’s like Google Reader, so I really see whatever’s been posted on the many blogs I follow that whenever I get on. 4) Your parents say you can pick any animal, ANY OF THEM, existent or not. Which one do you pick? A Dragon or a Winged unicorn. Or a tamed Lion. Maybe? I don’t know, one of those. 5) You find out you’re going to die tomorrow at three pm, how are you going to spend those last (uh…. here it would be::::) 14 hours? Making sure my family knew that I loved them and that my friends knew that I appreciated them. Probably hand out some of my things to prevent fights among my siblings later and do as many chores as I could before three, so that they wouldn’t have to worry about it the next day while busy with other stuff. 6) French braid or just braid? French braid. They’re pretty and can look fancy. And my hair is too short for a regular braid to look nice in it right now anyway. 8) Favorite book of the Bible? 9) Favorite verse from the Bible? Papua is in Indonesia, above and slightly to the left Australia, and below China, in the Pacific Ocean. Before going to JAARs Day last year, we had to show the little kids over and over where it was.